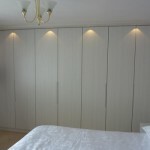 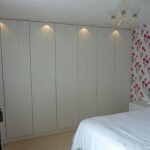 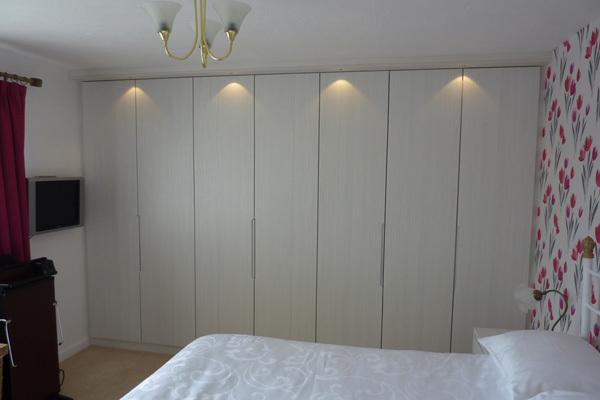 We maximised the storage in the bedroom with a run of fitted wardrobes, with LED lights fitted above the pelmet, to offer ambient lighting. 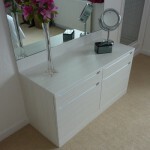 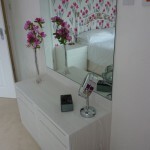 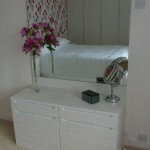 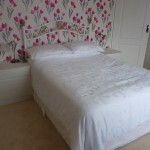 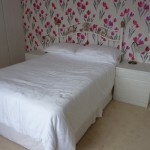 We also designed and built two bedside cabinets and a dressing chest of drawers with feature mirror. 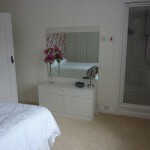 Bathroom and re-tiled the shower in the bedroom.